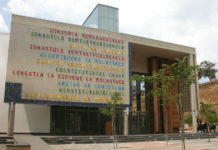 South Africa’s Constitution protects the rights of all of us, so well, that it has real benefits in our everyday lives. 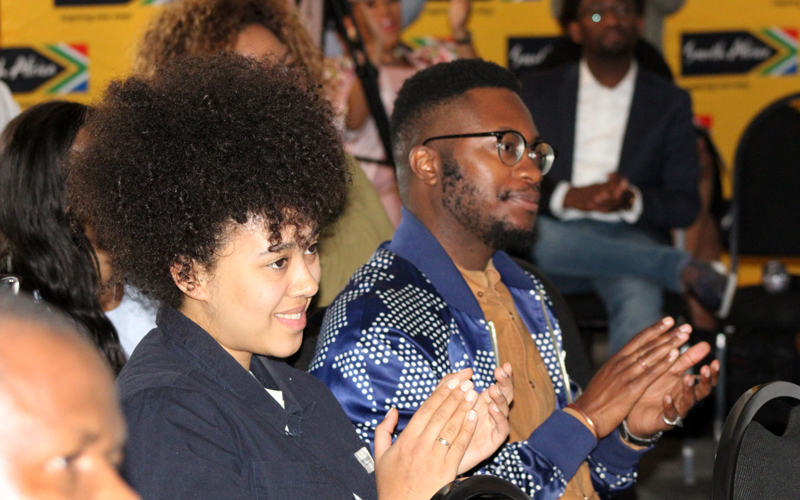 That was the message at the launch of the second installment of Brand South Africa’s #InspiredByMyConstitution campaign in Johannesburg recently. 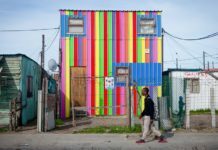 South Africa’s Constitution is one of the most progressive and inclusive in the world, but not all South Africans know just how awesome it is. To fix this, Brand South Africa kicked off the second phase of its Constitutional campaign #InspiredByMyConstitution with a media launch at Constitution Hill in Johannesburg on Friday 15 September. The campaign will raise awareness of our Constitution and how it empowers and protects all of us. 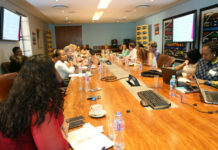 “This campaign is very much about empowerment,” said Linda Sangaret, Brand South Africa’s chief marketing officer. #InspiredByMyConstitution aims to get the youth – and South Africans as a whole – to familiarise themselves with their rights, as laid out in the Constitution’s Bill of Rights. Young people can benefit themselves and the country by taking full advantage of these rights. The campaign will showcase how the Constitution benefits everyone, every day. It is supported by three celebrity social influencers whose lives have been directly affected by the Constitution. Gemini Major is a Malawian-born record producer and singer-songwriter. Imraan Christian is a photographer and filmmaker whose work is deeply rooted in activism, whose rise came about during the #FeesMustFall protests. Letoya Makhene is a well-known actress, singer and TV personality, famous for roles in some of South Africa’s top soap operas, such as Isidingo and Generations. 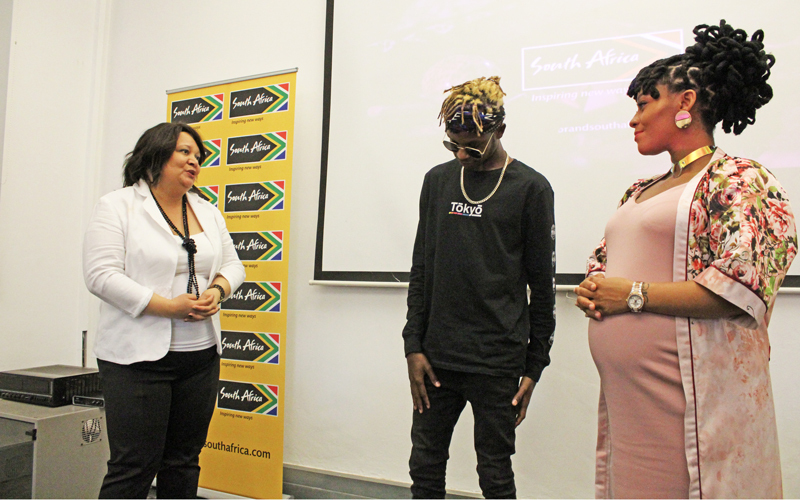 With the help of these celebrities, Brand South Africa hopes to engage with the youth and bring to light the immense potential Constitutional protection offers for personal growth and development. #InspiredByMyConstitution aims to get the youth – and South Africans as a whole – to familiarise themselves with their rights, as laid out in the Constitution’s Bill of Rights. “I came here for family,” Gemini Major, a Malawian national, said at the launch. “After experiencing the whole country, I wanted to stay here in South Africa. I wanted to be here and chase my dreams. Then the xenophobia thing happened and all of that, you know. “I’m just happy that there are actually people who speak for the people affected by xenophobia. Some people are afraid to chase their dreams, just because they’re from a different country. “So being a part of this is something I’m so happy to do. I can speak for other people out there, who can’t speak for themselves. “Showing them that the Constitution actually has your back. South Africa actually has your back. Everyone has human rights – whether you’re from Malawi, Ghana Nigeria, whatever. You know what I mean? The multitalented Letoya Makhene said the Constitution had played a huge role in her career as an entertainer. Being able to express herself to the fullest has allowed her become a household name. Now, as part of the # InspiredByMyConstitution campaign, she hopes to inspire other South Africans to reach for their own dreams. “I was able to go to multiracial schools,” she said at the launch. “I was able to be educated in places where, probably two or three years prior to our new Constitution, black children were not accepted. “And so, my Constitution has had my back. “My Constitution, later on, protected me as a woman. It’s difficult to be a woman in a male-dominated society. 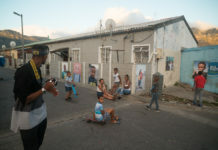 “We wanted to look at the subject matter of our Constitution from the point of view of young people by tapping into pop culture in order to amplify the message in a fun, persuasive, culturally relevant and informative way.” said Linda Sangaret, Brand South Africa’s chief marketing officer. “This campaign comes at a time when youth in South Africa are standing up, taking their issues to the streets, to gain attention and immediate responses from government and society at large,” said Sithembile Ntombela, Brand South Africa’s general manager for marketing. “They are demanding change that will open opportunities for them to improve their socioeconomic status and quality of life. 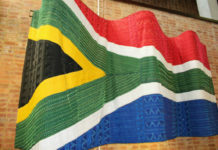 Sangaret added that South Africans should be extremely proud of their Constitution. “According to research, there is a study that was carried out that actually measures the constitutions of different countries, and South Africa has the best constitution in the world,” she explained. 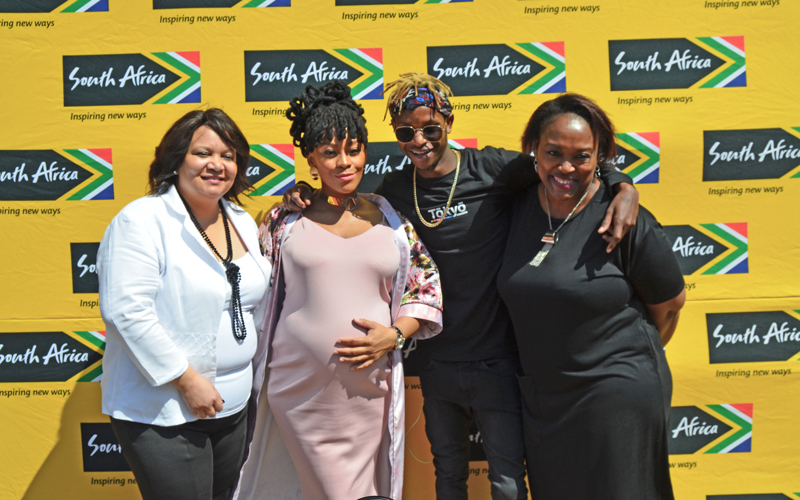 Keep an eye out for the series of web films featuring Gemini Major and Letoya Makhene as well as photographer and filmmaker Imran Christian, to find out how they benefited from our Constitution. Be inspired to take your own steps towards fulfilling your own potential.